Check out Tobi's Mistyglen High Rise Patchwork Mini Skirt Chill times are ahead. You gotta get the Mistyglen High Rise Patchwork Light Wash Mini Skirt for your next Sunday Funday. 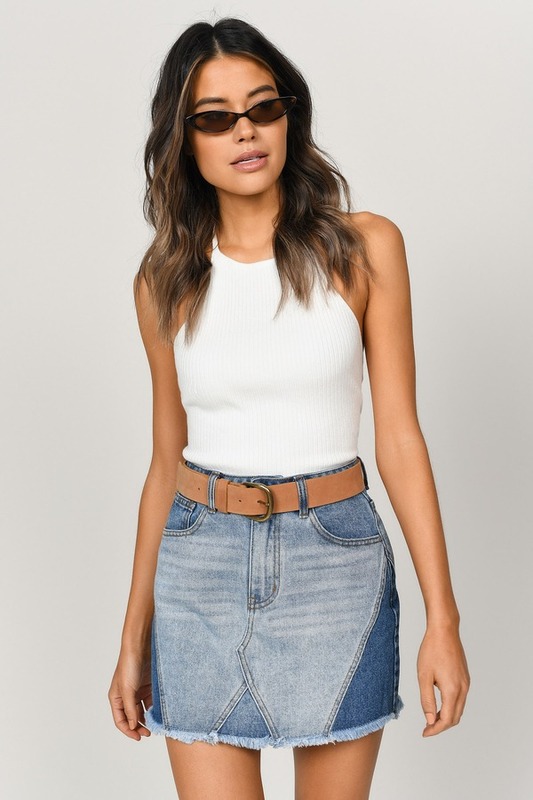 This paneled denim skirt features a five pocket cut with two-toned denim patchwork and frayed hem on a structured denim weave. Grab your fave band tee and pair it with this short jean skirt. Chill times are ahead. You gotta get the Mistyglen High Rise Patchwork Light Wash Mini Skirt for your next Sunday Funday. This paneled denim skirt features a five pocket cut with two-toned denim patchwork and frayed hem on a structured denim weave. Grab your fave band tee and pair it with this short jean skirt.